I masked the area, airbrushed, then decided I didn't like the stark line of color against the white. What a beautiful card!! Love the color of the airbrushing!! 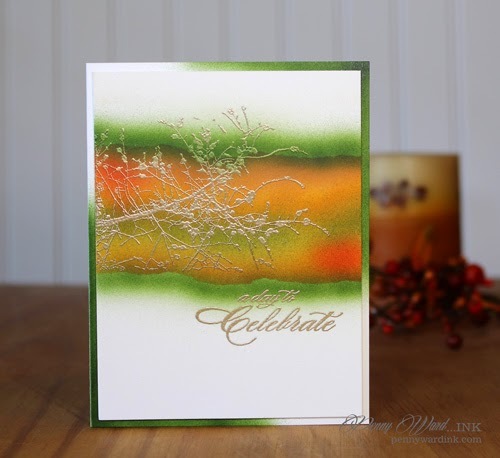 what a lovely blending of colors over your embossed sentiment! This is beautiful! 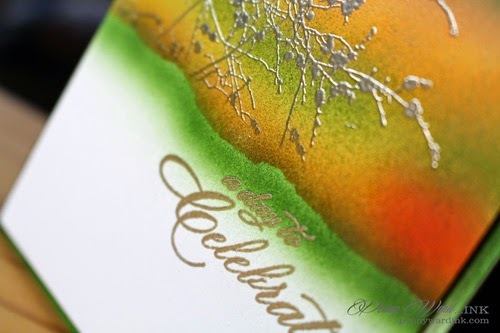 I love the colors and that embossing powder!